Scientists say they already are driving some tree species toward extinction and are causing billions of dollars a year in damage—and the situation is expected to worsen. 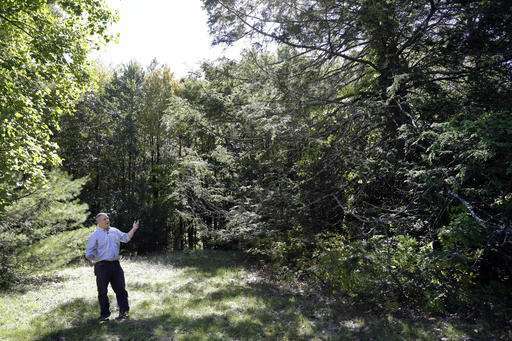 "They are one of the few things that can actually eliminate a forest tree species in pretty short order—within years," said Harvard University ecologist David Orwig as he walked past dead hemlocks scattered across the university's 5.8-square-mile research forest in Petersham. 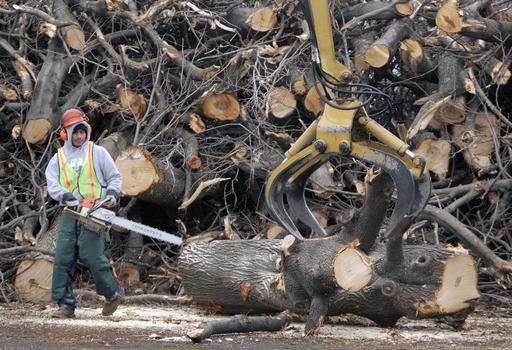 This scourge is projected to put 63 percent of the country's forest at risk through 2027 and carries a cost of several billion dollars annually in dead tree removal, declining property values and timber industry losses, according to a peer-reviewed study this year in Ecological Applications. 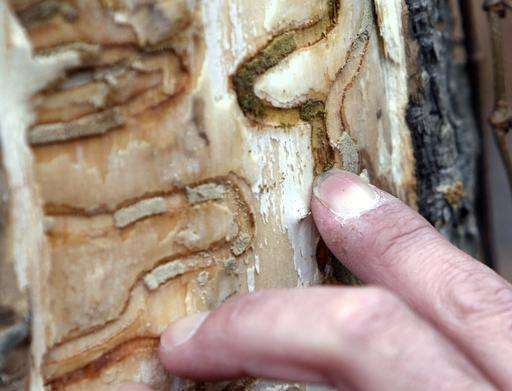 That examination, by more than a dozen experts, found that hundreds of pests have invaded the nation's forests, and that the emerald ash borer alone has the potential to cause $12.7 billion in damage by 2020. Today's connected world enables foreign invaders to cross oceans in packing materials or on garden plants, and then reach American forests. Once here, they have rapidly expanded their ranges. 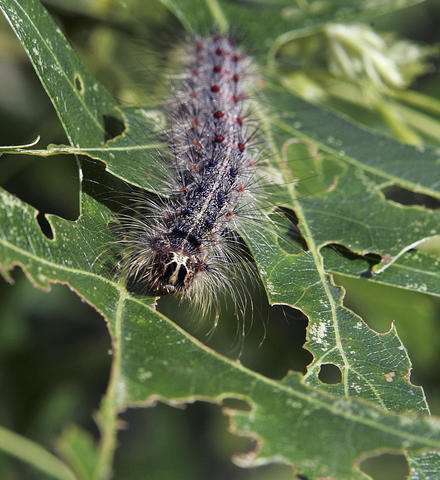 "The primary driver of the invasive pest problem is globalization, which includes increased trade and travel," Andrew Liebhold, a Forest Service research entomologist in West Virginia. "But there are cases where climate change can play an important role. As climates warm, species are able to survive and thrive in more northerly areas." 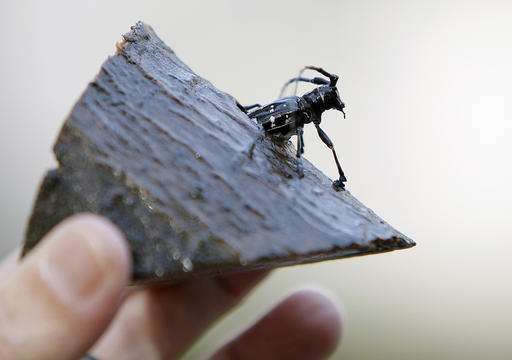 "They drain the resin that otherwise defends the tree," said Matt Ayres, a Dartmouth College ecologist who worked on the Ecological Applications study. "Then, the tree is toast." 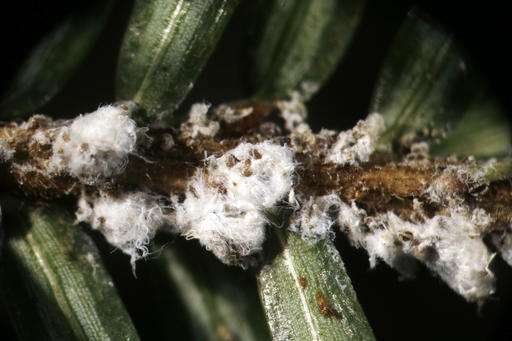 "We're dealing with pests we've never been around before, never had to manage around before," Stock said. "It's something we're going to be dealing with forever." 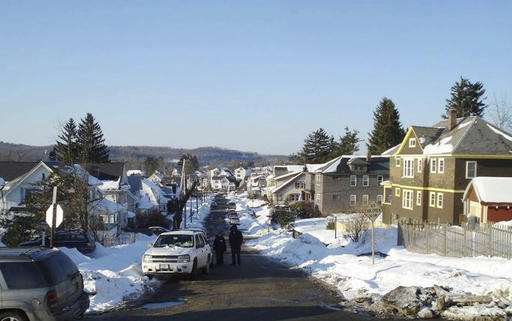 "You would leave for work with a tree-lined street, and you come back and there was not a tree in sight," recalled Ruth Seward, executive director of the nonprofit Worcester Tree Initiative. 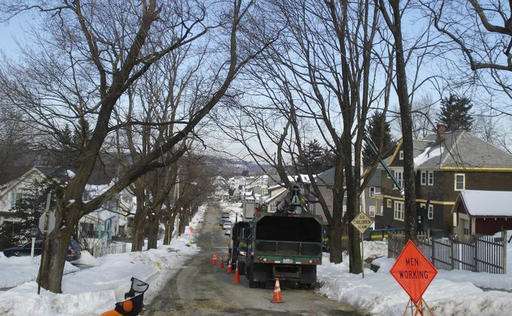 Most trees have since been replaced. 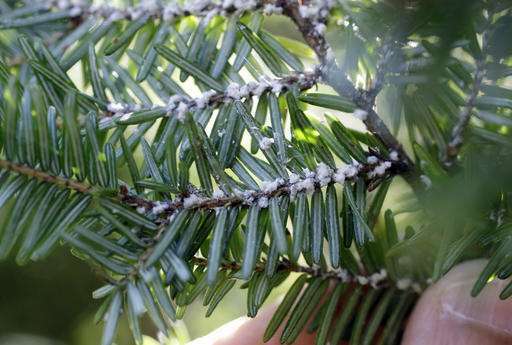 Though trees can die off quickly, the impact of pests on a forest ecosystem can take decades to play out. 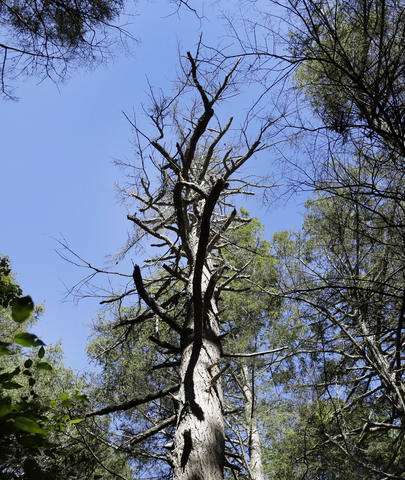 Dead hemlocks, for example, are giving way to black birch and other hardwoods. Gone are favorite nesting spots for two types of warblers, as well as the bark that red squirrels love to eat, Harvard's Orwig said. The birds won't die off, he said, but their ranges will be restricted. 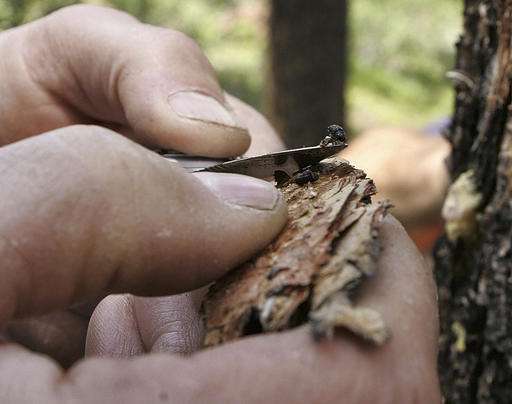 "It's a great example of how one species can make a difference in the forest," Orwig said. Among the methods are bio controls, in which bugs that feed upon pests in their native lands are introduced here. 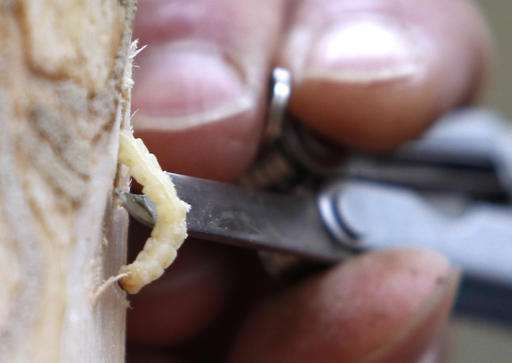 Of the 30 states with emerald ash borer outbreaks, the USDA says 24 have released wasp species to combat them. 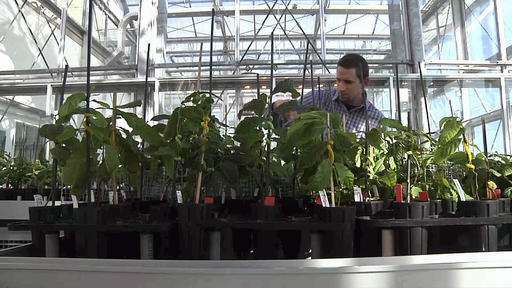 Some scientists worry about introducing another pest; others complain they aren't effective because they can't eat enough of the fast-breeding pests to make a difference. 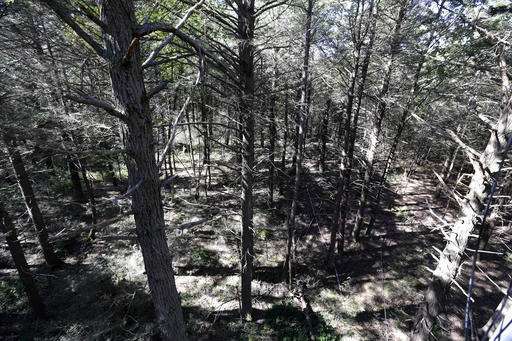 "With all bio controls, the hope is to create balance—balance between predator and prey," said Ken Gooch, forest health program director for the Massachusetts Department of Conservation and Recreation. "Mother Nature knows best," he said. "It's assisted migration." 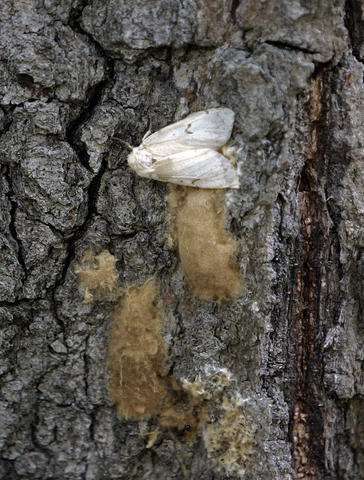 Nonetheless, Lovett said new pests are inevitable. "We have this burgeoning global trade," he said, "so we will get a lot more of these."